I am more proud of this accomplishment than any human has the right to be. 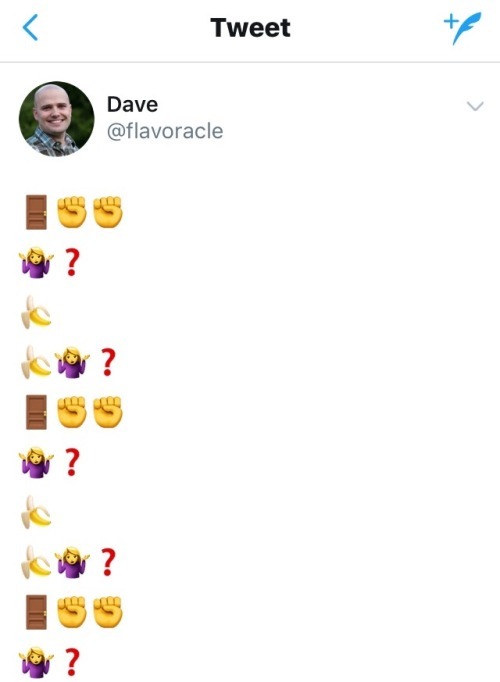 knock knockterrible jokesknock knock jokesorange you glad i didn't say banana? okay, so more on the humans are weird tag, I’m thinking of doing one of my own every day what do you think? anyway todays is, yep you guessed it: memes. not necessarily just memes though, just jokes in general. memes were just my starting thought, but hey, let’s go from what seems like the logical start. How weird are human jokes? Like, we have some which just don’t make sense, like i don’t know if anyone else has seen that “No, two goat is too much” post [that probably doesn’t make sense to anyone else but i know what joke I’m talking about] but even if you don’t know that post i’m sure you’ve seen them around, those posts that make ABSOLUTELY NO SENSE, but you laugh ridiculously hard at. Some of our jokes don’t even have answers! like what’s that about? Alien: Why are you knocking, isn’t knocking something done, not something verbally spoken, have i misunderstood the concept of knocking? 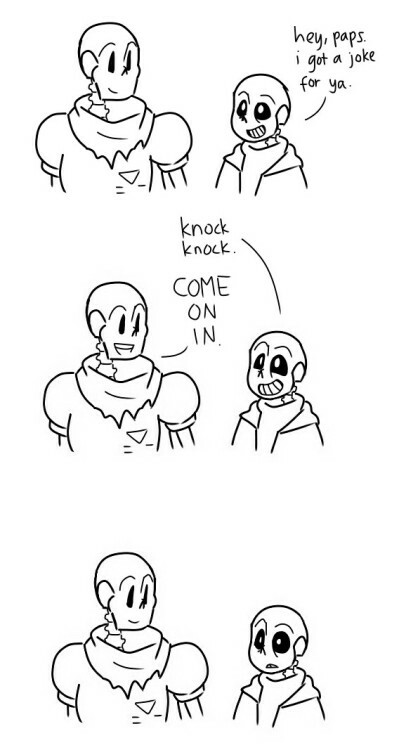 Human: yeah, I say knock knock, and then you say who’s there. after that I’ll answer and you repeat what i said but with who on the end, and then i answer that. do you get it. Alien, I believe i understand human!Jack, you will knock i will ask who is there, you shall say your name and i shall ask you to clarify. is a joke a training exercise of some kind? a way to make sure we answer in an apropriate way? Alien: Ah! so we are always open to new names and outcomes, genius! Alien: Excelent, I am excited! Human: Is the bell broken? i had to knock! Alien: What a wonderful name, do please come in Isabelle broken i had to knock. yeah, you see how it might get confusing. alright, now it’s time to get to what I’m sure is the reason you’re here: memes. Human: Oh, those aren’t funny anymore. Alien: Oh, is this one not up to par? Alien: but it was before? Alien: Then why stop? is it seasonal? do jokes have a cycle? Is it because it’ aimed at different age groups? Human: no, none of that, it just is. anyway, not very well explained, but you get my point. Human: hey, wanna hear a joke? Human: His alcoholism is ruining his life and his family is falling apart. as i said, human humour is weird. tomorrow, I’ll get into fashion. 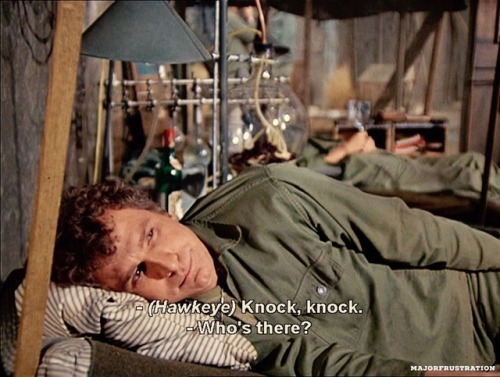 Hufflepuff: Hey Sly, Knock knock! Slytherin: Did you just confess to me via knock knock joke? Hanzo: why would I say that? There is no door and I am literally sitting next to you. Hanzo: no one is home. OH MY GOSH WHO IS THERE ARE ALREADY? IS THIS SOME KIND OF PHILIP GLASS JOKE? -Eric Whitacre, how can you even knock like that? -Oh gosh, who is it? John Cage, is that you? Draco: What are you talking about? Draco: Why would I be answering the door? Draco: Ugh, fine. Who's there? Harry: Canoe help me with my homework? Draco: ... what's a canoe? This is super short, but I needed to get it out of my system. I apologize for any depression you get. You were staring the God of Thunder down in the living room of the Avengers Tower. Between the two of you, you were trying to see who could come up with the best/worst jokes. Whoever laughed first had to tell Tony that they were the one who “accidentally” filled his pool up with 25 million Orbeez. Needless to say, it was a battle of the wills. Loki was casually sitting on the floor in front of your chair, leaning against your legs and reading a book. He, unfortunately, wasn’t a part of the Orbeez ordeal…not that he would “stoop so low as to participate in childish jokes” anyway. “What do you call a cow that jumps over barb wires instead of the moon?” Thor asked, his deep voice rumbling and he smirked, quirking an eyebrow, thinking that he finally had you with this one. It had been 58, now 59 minutes of this back and forth. Your eyes narrowed, having heard this one before…and you knew you were going to have to hold in laughter. “What do you call them?” you asked, lifting your hand to cover your mouth, hoping you could get away with it. Catching on to what you were doing, Thor smacked your hand away and as a result, Loki summoned a knife, casually twirling it between his long fingers, the threat evident…all without looking away from his book. Both Thor and you looked at each other in surprise, eyes wide and mouths hanging open in an unattractive manner. Loki gave us a smug look before returning to his book as if he had never said anything. You were the first to break out into laughter, Thor following in suit. Looked like you both lost and would have to face the wrath of “the Man of Iron” together. 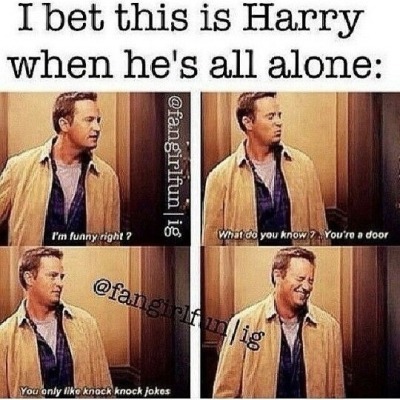 Louis: *sigh* Who is there? Louis: *mumbling* As if I don’t already know. Louis: *Deeper sigh* I love who? Louis: I want a divorce.